In 2002 the Menai Wildflower Group took up an offer by the IRFB to join them in their brand new Fire Station. They moved in early 2002 and we arrived about mid-year. The gardens had already been planted out with natives by contractors. We very quickly added a few plants of our own and heavily mulched the entire garden. Unfortunately, in November a fire jumped Alfords Point Road, raced up the hill to the fire station and set the garden alight. The fresh mulch burnt beautifully and all the plants in the back garden were killed. There were also extensive losses on the western side of the front garden and some damage on the eastern. Replanting did not get underway until 2004. Since then the garden has not looked back. 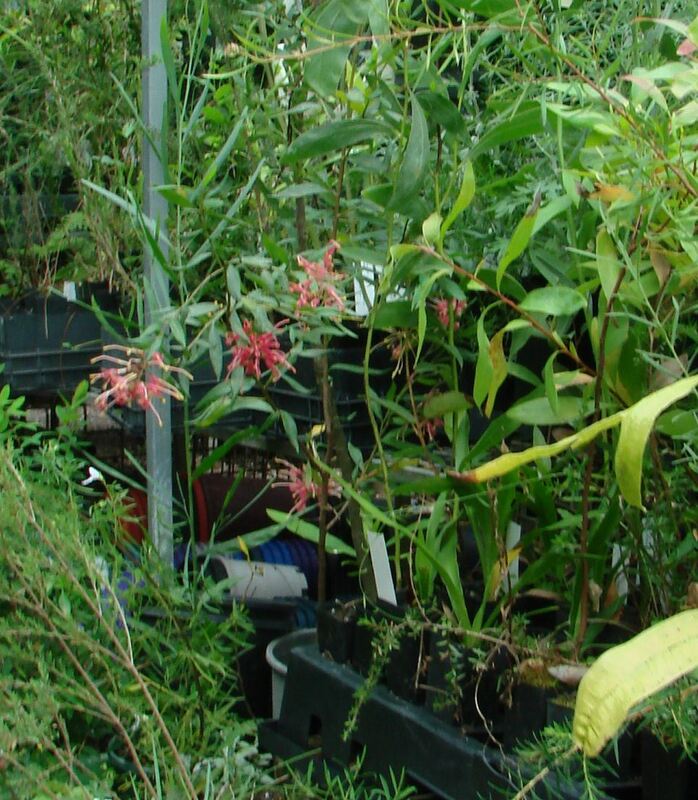 It is now a mature collection of plants from all over Australia. We have added hives of native bees which also enjoy the garden. The gardens also support a range of wildlife including birds, insects and reptiles. Behind the fire station is an area we call ‘The Mounds’ project. The council built three mounds out of the rubbish removed from the Gross Pollution Traps in the local area. The range of materials that came out of the pollution traps had to be seen to be believed. Plastic bags by the thousand and parts that had dropped off cars. Drink containers by the hundreds and builders rubble, toys, bicycles - the list is endless. When the mounds were capped with clean soil we sort and received permission to plant out the mounds. We used whatever rock we could lay our hands on to form an edge and planted out with specimens we had propagated ourselves from as many different plant families as we could to see what would handle this unusual ‘soil mix’. To our surprise almost everything we planted took off. It was a successful experiment and ‘The Mounds’ are well worth a visit. The Menai Wildflower Group operates a tube stock nursery on the Lucas Heights Resource Recovery Park operated by SUEZ. In return for our help they allow us to distribute plants free to schools and other community groups. 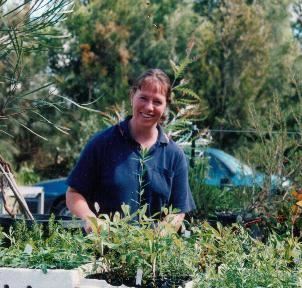 We also undertake projects to help conservation efforts like the revegetation of the Royal National Park Coastal track. 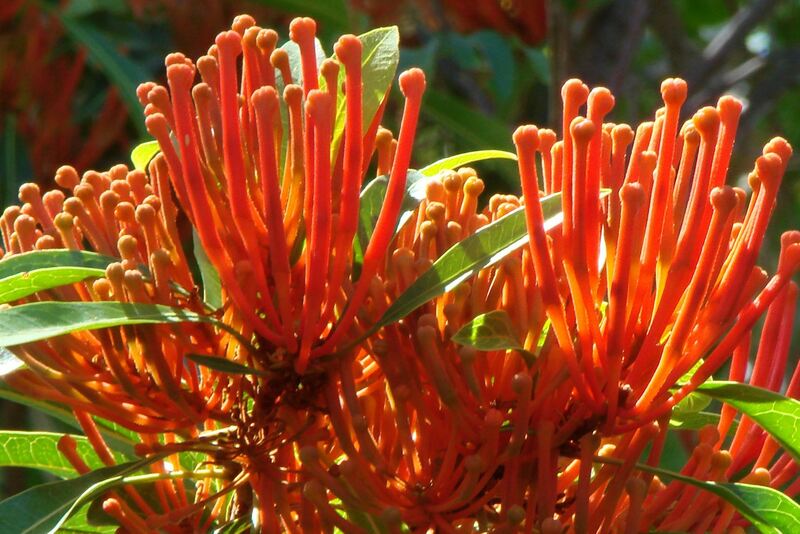 Our current project is supplying suitable plants for the Dharawal NP and The Five Islands off Port Kembla. On the Big Island they are currently spraying the invading Kikuyu and Morning Glory which entrap burrowing sea birds causing many deaths and loss of nesting sites. They are then replanting with suitable local species. This is alongside the Illawong RFS and is a new addition to our facilities. Here we grow interesting natives for our members and teach propagation to the local community. We have a Tuesday members group who grow plants for our own use. At 1pm on the 3rd Saturday of the month we hold propagation workshops for the local community where they can come and learn and use our facilities. These include heated, enclosed propagation benches with automatic misting two shade houses, outside benches and soon a polyhouse. All the requirements for propagating from seed or cuttings.